"This year's Day of Knowledge is a bit special. 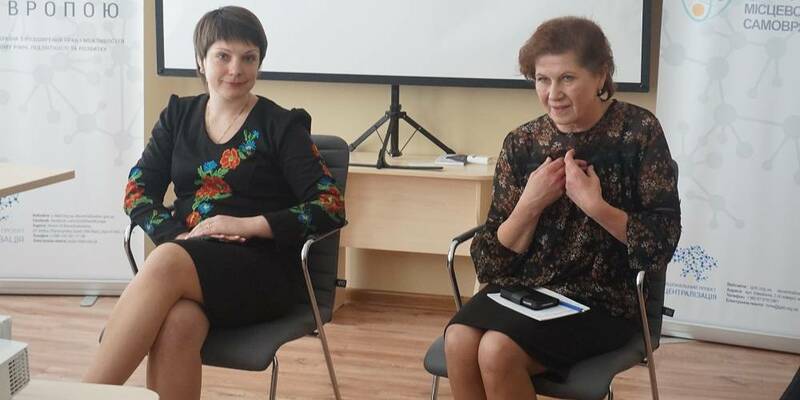 Ukraine has been waiting for a new educational reform for more than a quarter of a century. Now I am here and the Prime Minister, ministers are together with you to emphasise the importance of starting the implementation of the "New Ukrainian School" programme," said President Petro Poroshenko at the All-Ukrainian August Conference of Educators "New Ukrainian School: Start of the Reform, Participation of Hromadas". The Head of State noted: "It is logical that the programme starts with the smallest – first-graders and will grow together with them step by step". According to him, on 1 September, all 22,000 first grades - 448,000 pupils - will start studying, finally, according to the new state standard. "As President, I want to sincerely thank everyone who was preparing the launch of the "New Ukrainian School". 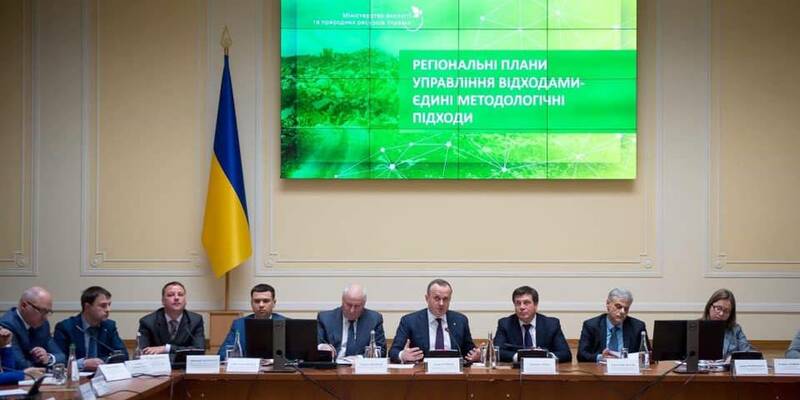 Everyone who made efforts to develop and adopt the new Law of Ukraine "On Education", which was mercilessly criticized, but we persuaded the society, parliament that this is a necessary step. I am proud that this law was signed by me last autumn," he said. "My like-minded fellows, you've done a tremendous job. We are realists and we know precisely how long the path from the document, from the adoption of the Law takes... Someone thinks that the work is already over. On the contrary – the work is just beginning. Not only the fate of the Law, but also the fate of education, the fate of the state depends on its fulfillment. Thus, we must say and understand that we have a huge work ahead on the implementation of its provisions, and therefore - the fulfillment of our hopes," Petro Poroshenko noted. The Head of State said that the Parliament, the Government had envisaged UAH 370 million in the State Budget for advanced training of elementary school teachers. "This is our common political will to prioritixe the expenditures of the State Budget," he said. "I emphasise the importance of improving the skills of foreign language teachers. It is very important that Ukrainian at graduation from the Ukrainian school could speak the language fluently. For now we have different situation than when we lived behind an "Iron Curtain". My decree on the Year of English has launched a process of change in this extremely important area. Foreign language is like air, without which you will not be competitive in any industry. It is very important that our foreign partners are now involved in our projects at our request. A large number of international initiatives have been launched with us," said Petro Poroshenko. The President noted that education should become a priority in the policy of local authorities, local self-government, as it is now a priority in the work of the Government. "Decentralisation is our common initiative, which nobody believed in at the beginning as well. Today it is considered one of the most successful reforms of the new government. Decentralisation gives first positive results. And I would very much like to see the same results in the field of new Ukrainian education as we are now observing in the renewed face of our cities, villages and settlements," he added. 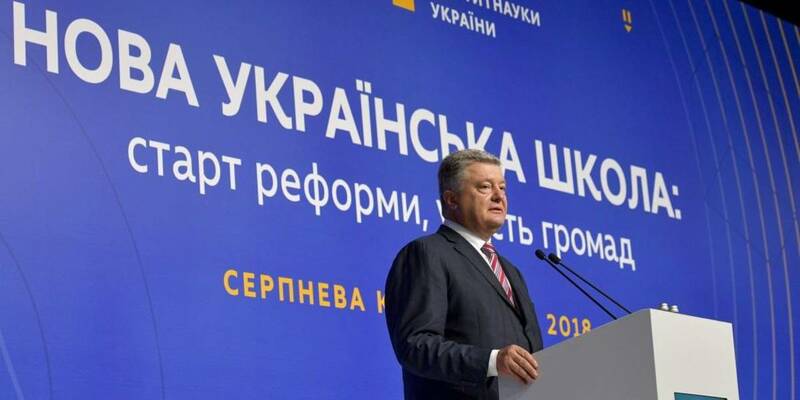 Petro Poroshenko noted that a respectful attitude to the history of Ukrainian education does not deny the need for extremely deep changes: "After all, we live in a very dynamic world. And, frankly speaking, we are far behind the leaders of education." "We need education, which forms the pupil's ability not only to play according to established rules, but also to win in a situation of constant change. We not only give knowledge to pupils, but also teach them to constantly study. We remove fear of learning, we make sure they are capable of mastering any discipline," he said. The President noted: "We need education with which we will enter the European educational space on an equal footing. Why on an equal footing and why to the European space? Because the last four years have vividly demonstrated – we have absolutely no other alternative than to move towards the European Union. 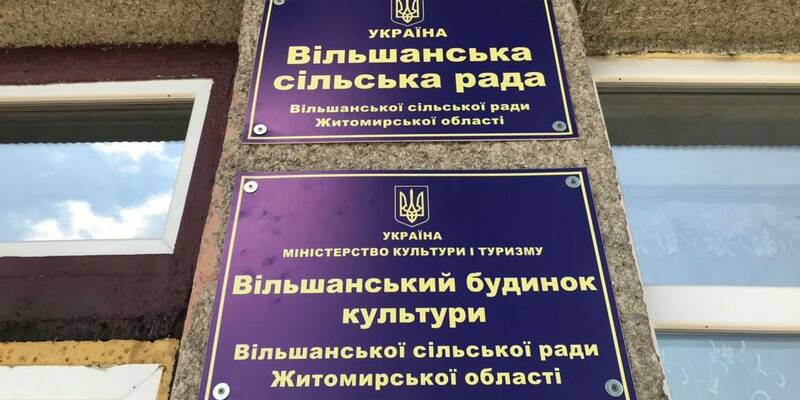 This is a solid political will of the Ukrainian authorities. This is a solid political will of the Ukrainian people and the Ukrainian nation. And without your efforts, dear educators, this movement will be significantly slowed down." According to him, four years ago, the Ukrainian people carried out the Revolution of Dignity for the sake of strengthening their European future. "I am convinced that the key to this future is not only a visa-free regime, not only economic, legal, political system reforming. It is an upgraded and high-quality education, which is a key component of our movement," outlined Petro Poroshenko.